Bio Balance Facial Whitening Day Cream SPF30 is specially formulated to help reduce the appearance of dark spots, skin discolorations and brighten overall complexion. 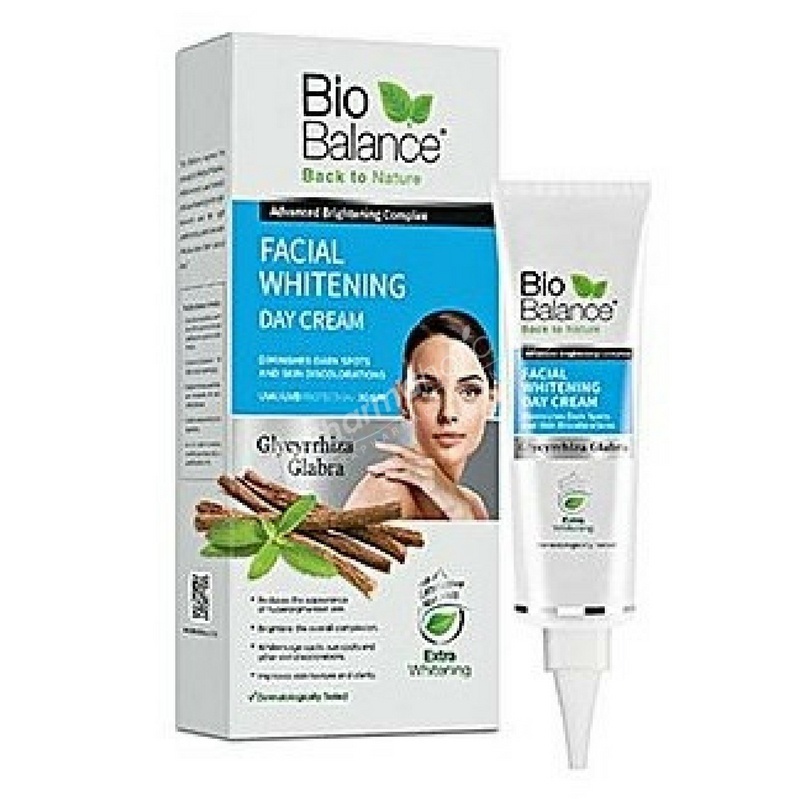 Bio Balance Facial Whitening Cream is specially formulated to help reduce the appearance of dark spots, skin discolorations and brighten overall complexion. -Diminishes appearance of dark spots, freckles, age spots, sunspots and acne marks. -Protects skin from the sun to prevent further darkening of skin. -Powerfully moisturizes the skin, strengthening its natural barrier and increasing its capacity to retain moisture. After cleansing, gently massage evenly all over your face and neck. For best results use twice daily. Its regular application is recommended to naturally fade the appearance of dark spots and to obtain an even complexion.